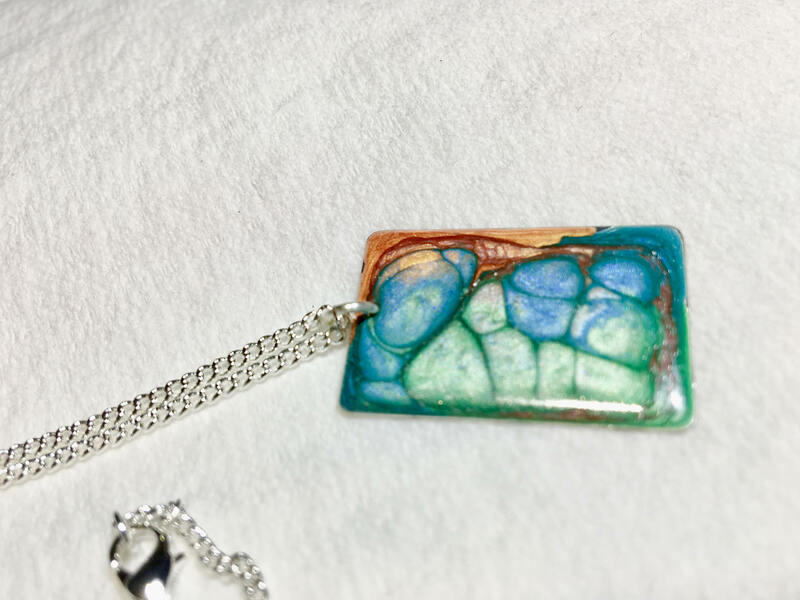 SJC10151 - Handmade rectangular silver plated enamel painted (blue/turquoise/orange) pendant abstract necklace with sterling silver chain. 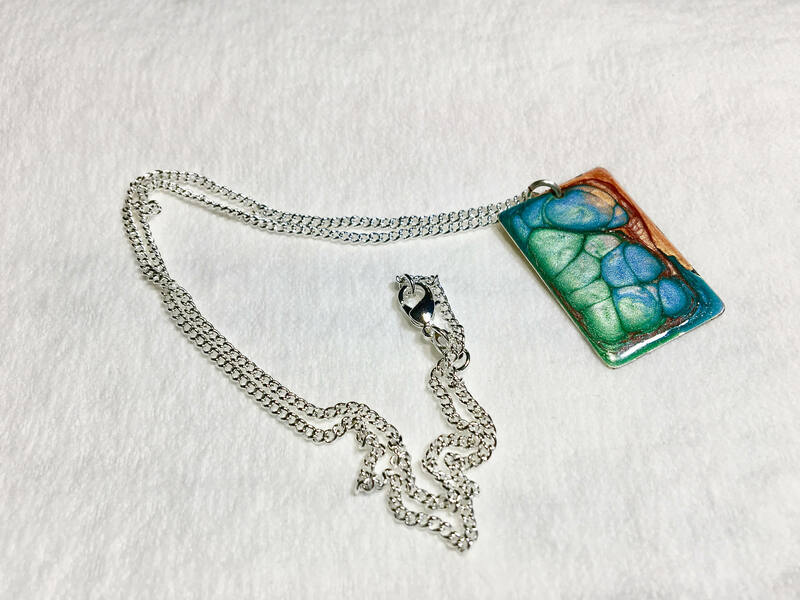 Handmade necklace with abstract design rectangular silver plated enamel painted (blue/turquoise/orange) pendant with sterling silver chain. Materials: Pebeo moon or prism enamel paints, sterling silver chain, silver plated rectangular support.